Getting your solar installation career started is easier and more affordable than you think - even in the U.S. Typically, students begin with our online class, PV201 Design and Installation, which can be taken anywhere there is an internet connection. Then, if you wish, when you're ready for the advanced, hands-on training portion you are invited to attend our PV203 System Design and Installation workshop here in the U.S.
We also offer a four day hands-on training program for stand-alone battery backup systems: PV204 Solar PV Systems with Energy Storage – Design and Installation. 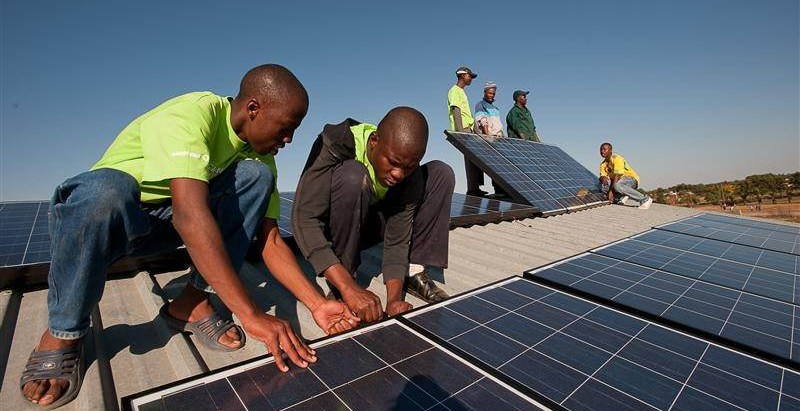 Solairgen has trained several students from Nigeria and Ghana, Africa, two solar markets with unlimited solar potential which could easily become two of the world's leaders in solar energy. Our students have taken solar technology back to their home countries to start their own careers, and develop prosperity for their citizens. Your training is only as good as your trainer. 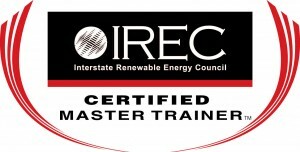 All courses are taught by Mr. Kelly Provence, an IREC Certified Master PV Trainer and NABCEP Certified PV Installer with years of experience in installation and teaching - assuring you get the best possible learning experience.